Content Marketing DFW and the U.S.
DFW Business Websites grows and develops businesses in North Texas and the U.S. Our clients range from nationwide addiction rehab centers to local businesses. Content Marketing – Done Right. We Get Search Ranking Results. 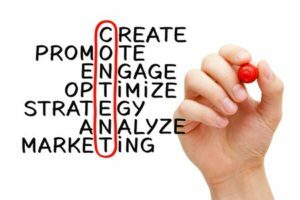 Content Marketing is an internet marketing strategy of creating and distributing unique, well-written, relevant and consistent content to attract and acquire a target audience. The goal is acquisition of new customers and driving customer buying decisions. Branding – Instant public recognition of your company; your logo and your products and services. Worth $100,000’s – not available for purchase – must be built from the ground up. In our work with businesses coast to coast, we have found that best Search Ranking is the positive side-effect of effective Content Marketing. Most effective way to develop new content that ranks high in Search: Targeted and Correctly Optimized WordPress Posts. Posts should originate from a correctly Search Optimized WordPress website. WordPress Posts can include video marketing. In 2018, Content Marketing is the most critical point of all advertising. Businesses may advertise in other media (radio, tv) – but Search is where the vast majority of business begins. For Search Ranking and Branding – all content marketing efforts need to drive users back to the company website. Just as in a holographic image all parts together create the complete image – Content Marketing is an essential part of effective Digital Marketing. Contrary to popular belief – Content Marketing is not rocket science. But it does require experience, skill and specialized, current knowledge.